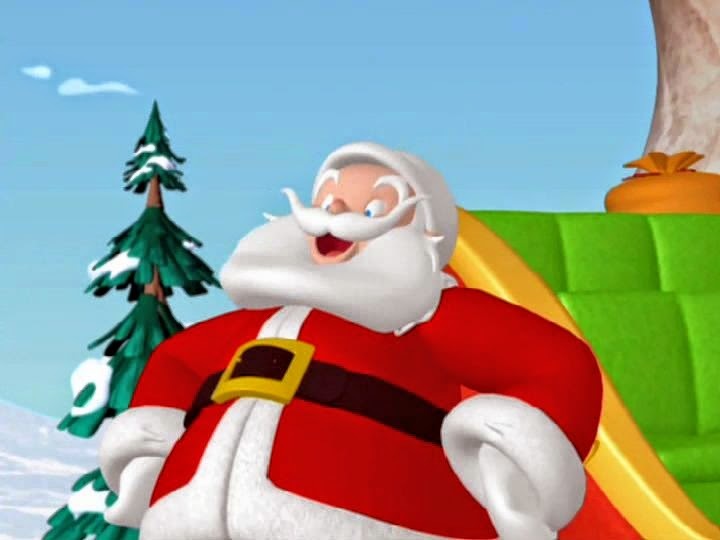 SANTA CLAUS: Well, look who's here. 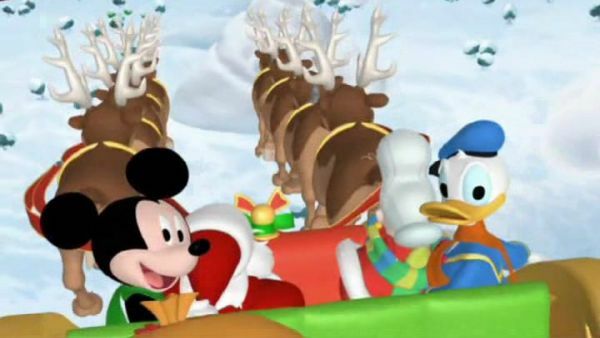 Mickey Mouse and Donald Duck. Oh, and you too. How nice. 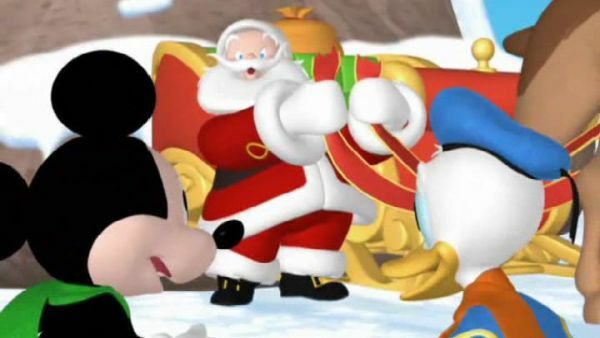 MICKEY MOUSE: Santa, we came to rescue you. SANTA CLAUS: Ooh, a rescue team. Thanks for coming. 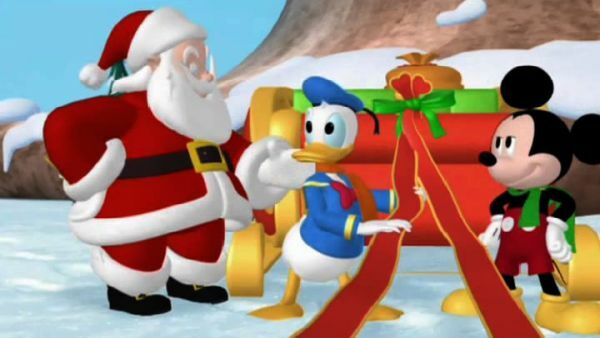 DONALD DUCK: You're welcome, Santa. MICKEY MOUSE: Gee. SANTA CLAUS: So tell me, rescuers, what are we gonna do about this? it's time for the mystery mouseketool. Everybody say,"Mystery mouseketool." What's today's mystery mouseketool? 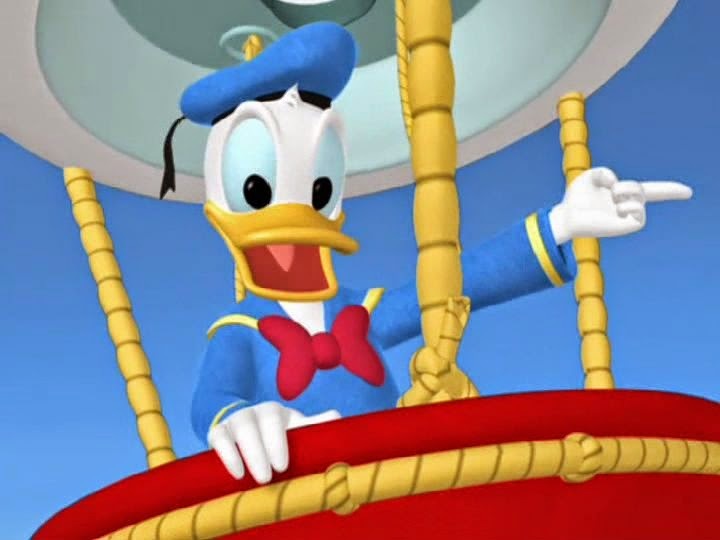 DONALD DUCK: Ribbons! 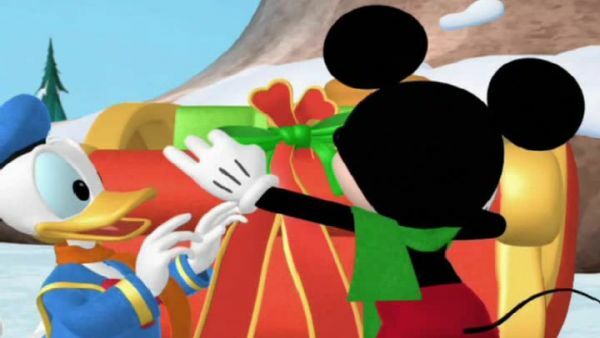 MICKEY MOUSE: Can we use ribbons to tie the harness to Santa's sleigh? DONALD DUCK: You better believe it. MICKEY MOUSE: We picked all our mouseketools. Say "Super cheers." DONALD DUCK: I'll help you, Mickey. MICKEY MOUSE: There you go. DONALD DUCK: Good as new. SANTA CLAUS: Ho, ho, ho! Well, what do you know? You kids just saved Christmas. 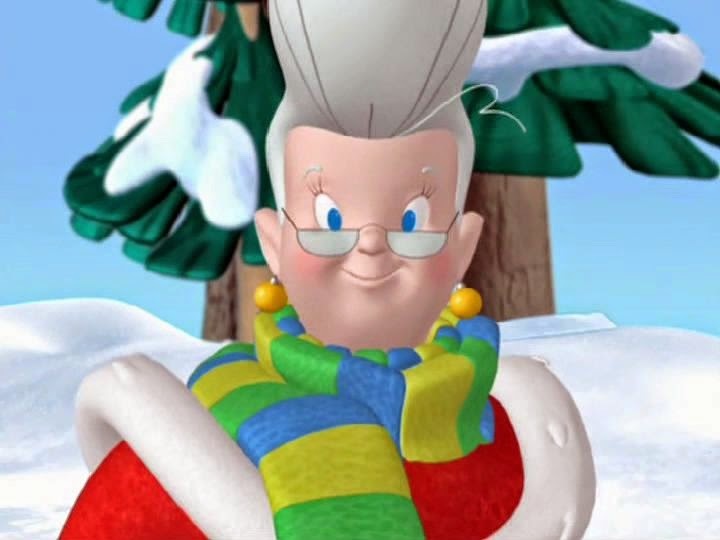 MRS. CLAUS: See, dear, I told you they were nice. SANTA CLAUS: Indeed! All aboard, rescuers. MICKEY MOUSE: We did it. We rescued Santa. DONALD DUCK: Hooray! 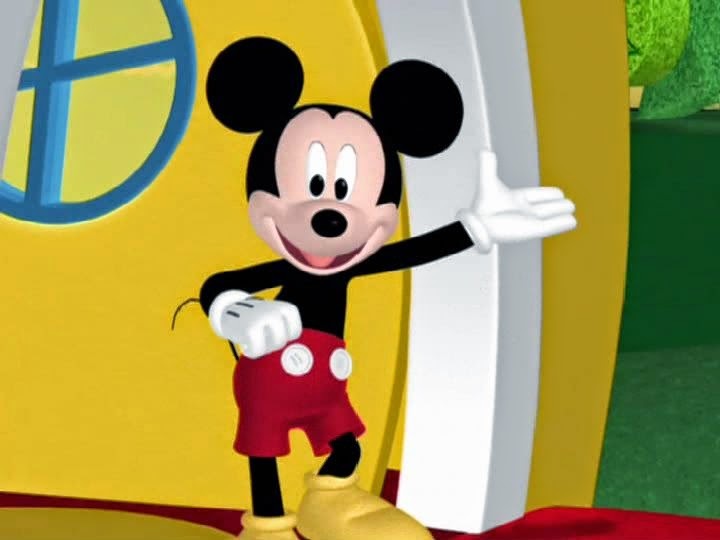 MICKEY MOUSE: Whoopee! 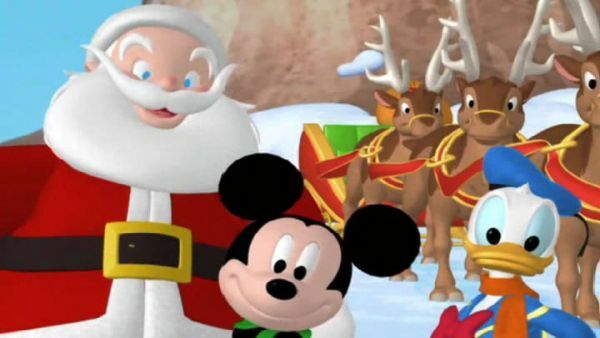 SANTA CLAUS: Now, Dasher, now, Dancer, now, Prancer and Vixen. On, Comet, on, Cupid, on, Donner and Blitzen.